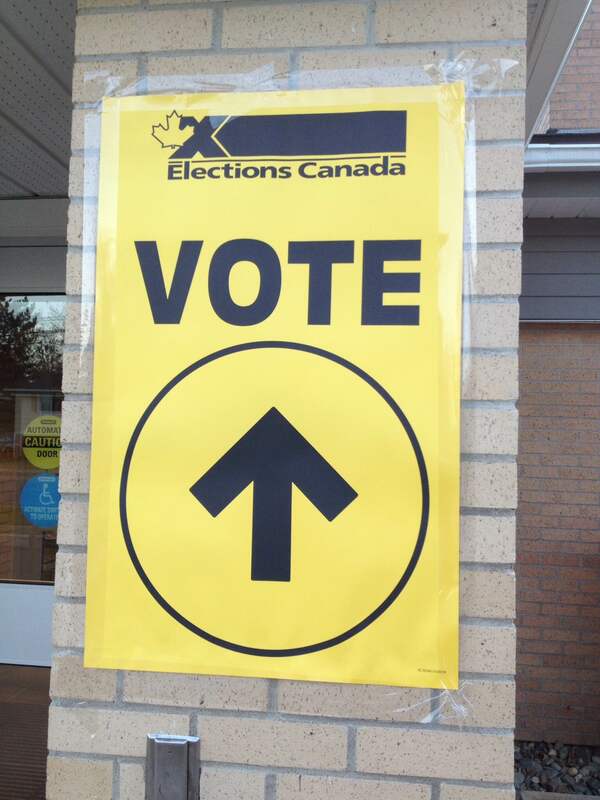 We reached another landmark day yesterday, voting in the Canadian Federal Election for the first time. For weeks I tried to understand the ins and outs of the Canadian political parties and their platforms (and I do not mean their shoes). The system here is much like the UK, and the campaigning much the same. It’s hard to get to grips with what one party is standing for when they prefer to criticize each other. Added to that the election was also fought on a few issues, and a great number of things that I’m concerned with didn’t get a mention. It was hard to know who to vote for. In the event the Liberals swept the board and Justin Trudeau is now Prime Minister. Canada voted for a drastic change, and I wonder what that will mean in the next few years for our lives. These people wouldn’t have authority if God didn’t allow them to. Somehow in his sovereignty he isn’t phased by the world’s leaders and their plans, but works his purposes out whether they acknowledge him or not, and whether it looks like it or not. There are examples all through the Bible and history of this happening. So I pray for the new Prime Minister and his government, that our leaders will have wisdom, that they will govern with integrity, that their hearts would be turned towards God. I pray that they would not forget the vulnerable members of our world from unborn children to the sick and elderly, first nations, refugees, the poor, the homeless, to name a few. I’m thankful for the legislation brought in during the last government to tackle human trafficking and exploitation in Canada, and pray that this federal government will continue in that work. Perhaps it is timely that Tim and I attended the Inspire Justice Conference in Halifax over this past weekend. It’s good to be reminded that righteousness and justice are right at God’s heart and to be among people who are passionate about seeking just that. Whatever the present government chooses to do, the church needs to continue showing the love of Jesus, loving on the poorest, looking for the lost and forsaken, helping those who have no one to turn to and working in partnership with others to see justice done. This is not just charity and hand outs, though it sometimes starts with that, but helping to bring change and reconciliation to our world. Pleading the cause of those who have no voice. I’m glad that we do not pin all our hopes on politicians. Leaders come and go, promises are made and broken, but God is the same yesterday, today and forever. He makes promises that will always be fulfilled, his word never returns empty (Isaiah 55:11). Thanks for the encouragement Linda!